Although each project has its unique requirements and constraints, in general we follow the same methodical process to bring a work from idea to final touches. We have found that with careful planning and precision, mistakes and delays may be avoided and the build process runs smoothly. We begin with simple sketches, often together with the client, to flesh out ideas and particular needs. Sometimes the way someone describes their idea gives insight into a deeper need and this can be brought to light in the ideation process. At this point we typically have enough information to prepare a formal proposal and cost estimate. Success starts with a plan! 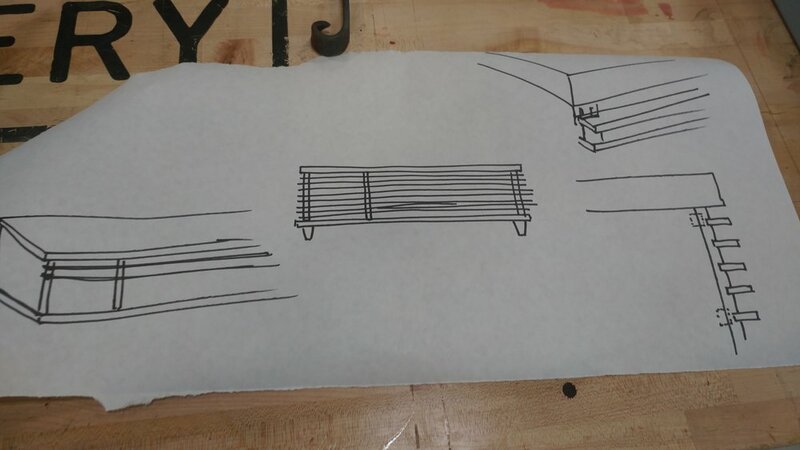 To that end, we transform the basic sketches into a detailed, fully accurate CAD model of the piece. From a small piece of furniture to a large timber frame, an accurate model is an exercise in "building before building." Though this process we design joinery, declare clearances, and can experiment with proportions and placements. Though time consuming up front, this work has saved us untold hours during the build process. 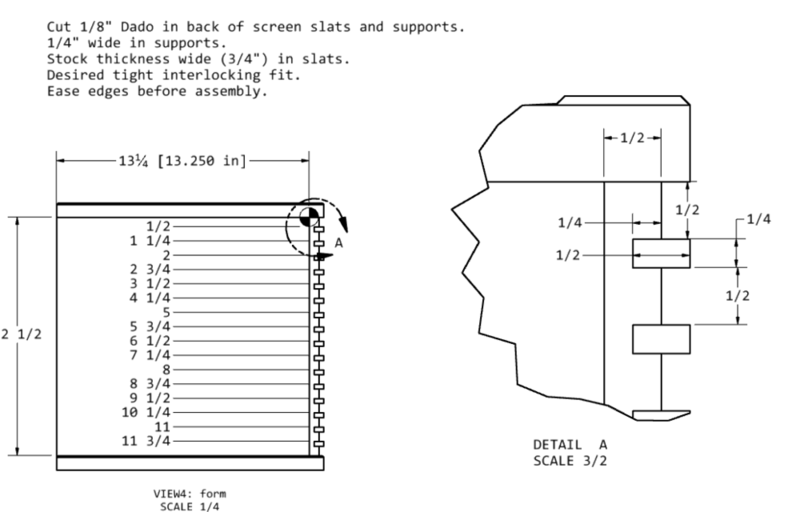 The CAD model is used to create a detailed set of shop drawings with build notes that can be taken directly to the wood. By thinking through the manufacture, we can save much time in building. Selecting the appropriate material for a project can require some time, patience and perseverance. We will spend the whole day at a lumber yard inspecting lumber for the desired cut, grain, and clearness. Often we may acquire extra so that the final decision can be made once the rough wood is planned and the beautiful grain patterns are exposed. Preparation involves turning the rough lumber into square, flat boards or timbers, and deciding where each will be used in a project. Wood is never “just slapped together” but intentionally placed so that its character is best displayed. Other factors we consider is the direction of tree growth, and position of the board relative to its direction of warp; these can be employed to build stronger pieces that age gracefully. Now comes the fun part! 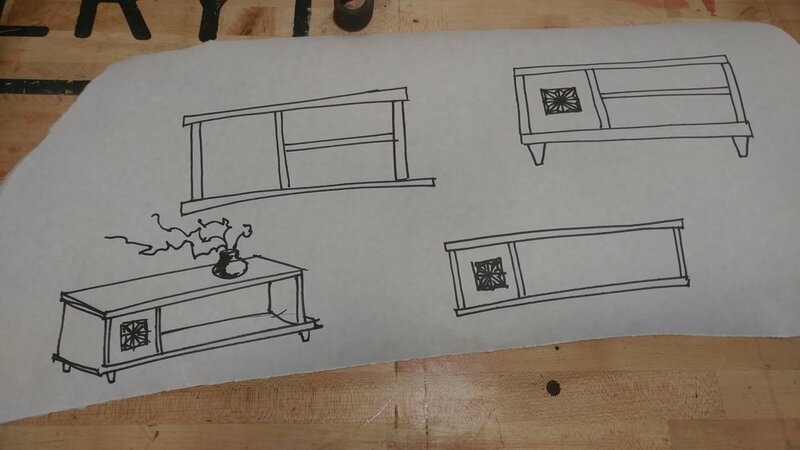 We often begin with roughly dimensioning all the parts for the project, and then transferring the shop drawings to the wood to indicate cut lines, joints, and other information. This layout process is conducted with the utmost precision and care. If the layout is good, almost certainly the finished piece will fit together perfectly. With all the parts marked, we begin cutting and joinery. All necessary cuts are made, and joints cut and chiseled to a high tolerance. Every decision we make with the chisel is aimed at having the parts fit together tightly (but not too tightly.) While we will use a variety of power tools for their speed and efficiency, the majority of the final detail work is completed with extraordinarily sharp Japanese chisels, saws, and hand planes. In many cases the wood is left free of any liquid finishes and the surfaces are hand planned. This process results in a sheen difficult to achieve with other methods of finishing; the wood glitters and glows and shows off its true nature. Planning would be conducted prior to final assembly. In other projects we simply sand the wood as required and apply a natural oil finish such as Tung oil. One thing we won’t do, however, is apply a stain to wood. We believe that each type of wood expresses its own beauty and character. Should one want a specific color, we would be glad to source a wood that naturally has the color. Projects may be delivered personally if within a reasonable driving distance from our shop, or we would be glad to arrange freight shipping most anywhere in the world. More involved framing or installations, we conduct the final work on site and are happy to work with your contractors and architects to ensure a smooth build. Because so much of the work is completed ahead of time in our shop, on-site work proceeds relatively quickly. It is a joy to see a finished project in a client’s home. Do you have an idea for a project? We'd like to hear about it. Head on over to our Contact page and fill us in! The project featured on this page is available for sale in our store, click here for more details!